In early 1960s, a young rally driver from Finland proved that even behind the Iron Curtain, great sports cars are being made. His weapon of choice? ŠKODA OCTAVIA TOURING SPORT. 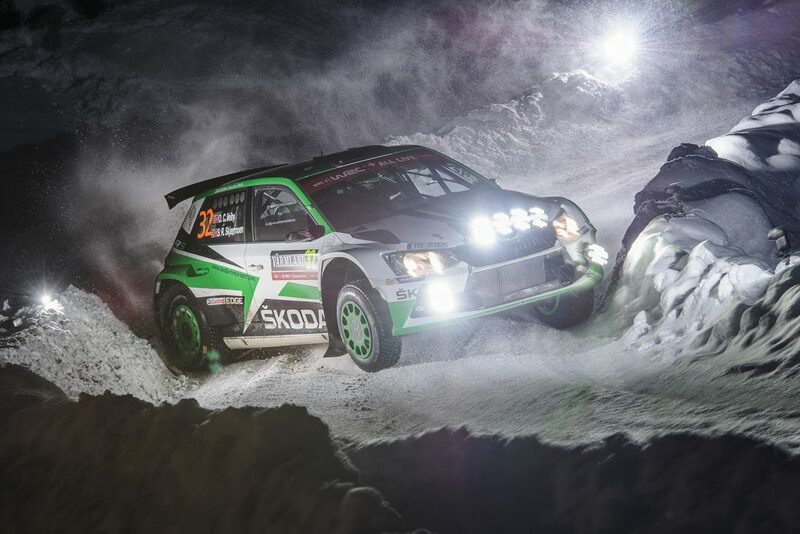 With the ŠKODA Motorsport team heading to Rally Finland in the next week, it’s a great time to remember the first great success of the brand in Finland. As the beginning of the 1960 rallying season was getting near, the young Finnish rally driver Esko Keinänen knew that he needed a new car. In the last two years, he and his co-driver Kai Nuortila took his trusty little Peugeot 403 – the model you may know from the Columbo TV series – to five top ten finishes in rallies around Finland, and even managed to win one of them, the 1959 Hankiralli, grabbing the national title. Now, though, it was time to step up his game. 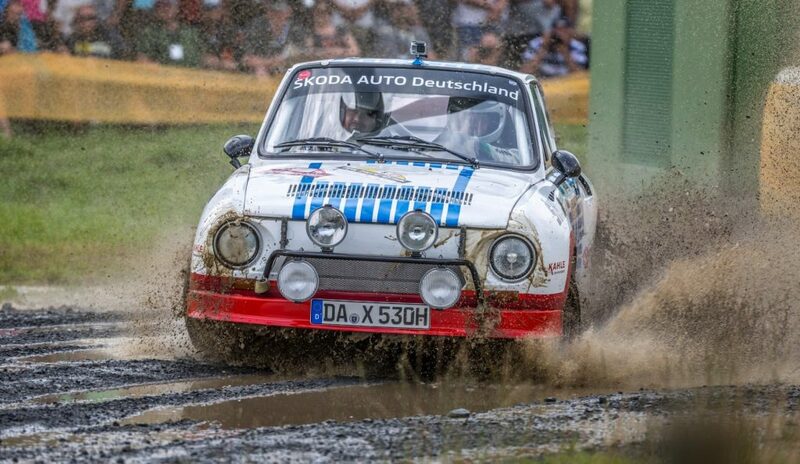 For some, it may be surprising that the replacement for the French car came from behind the Iron Curtain, but ŠKODA was actually quite popular among rally drivers at the time, especially with the introduction of its latest sports model. The OCTAVIA TOURING SPORT was introduced in 1960 as a sports version of the new OCTAVIA, itself an improved replacement for the preceding ŠKODA 440, also known as Spartak. Compared to the standard car, the TOURING SPORT brought several changes and upgrades, the most apparent of which was fitting the 1,089 cc engine with twin Jikov 32 SOPb downdraft carburettors instead of a single one on base model. This, together with increasing the compression ratio to 8.4 : 1 (from 7 : 1), helped increase the maximum output from 40 to 50 horsepower (29.4 kW to 36.8 kW). 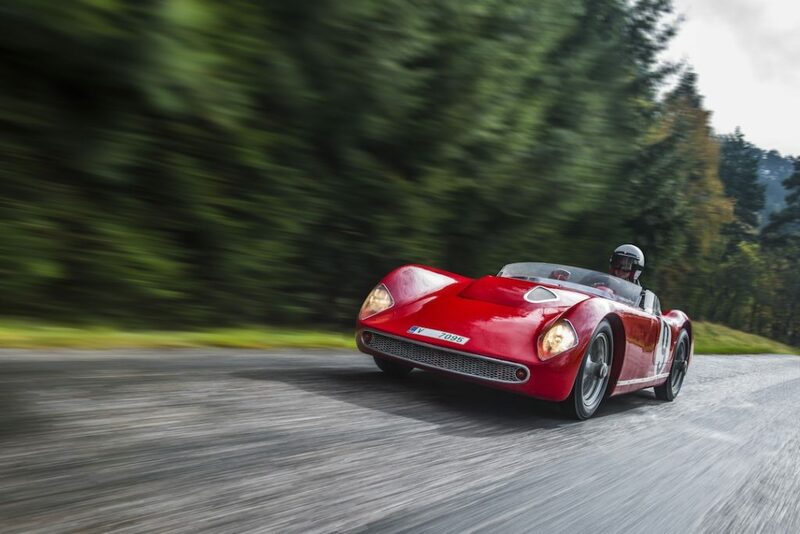 While these numbers may seem modest from the today’s point of view, coupled with the weight of just 920 kilograms and independent suspension in front and back, they meant the car was supremely agile. 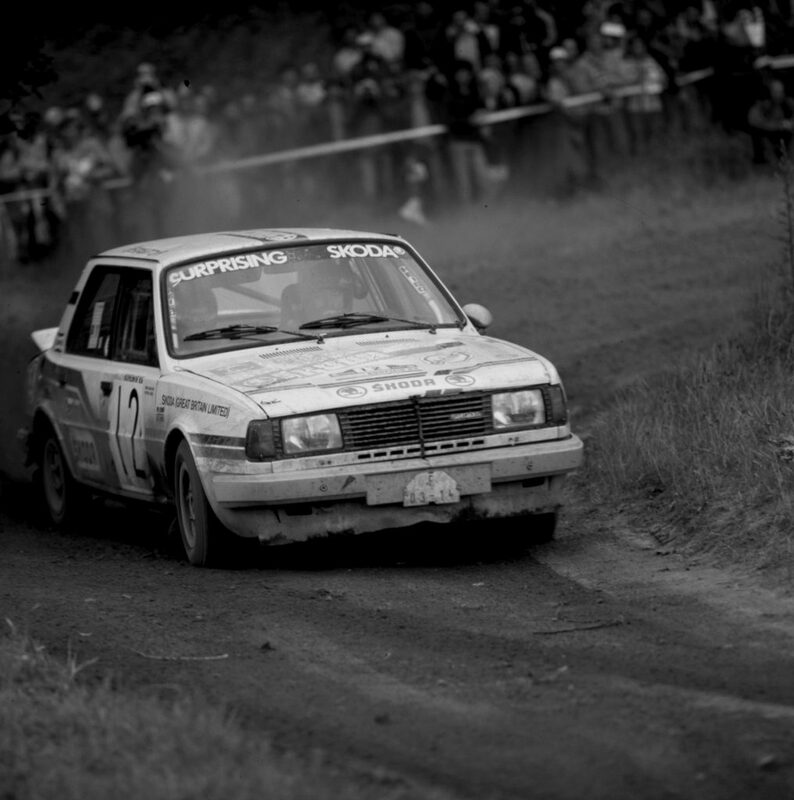 Soon, it became one of the popular choices for young drivers and a force to be reckoned with in the 1,300 cc class. For Esko Keinänen and his new co-driver Rainer Eklund, things started off well right from the beginning, with them finishing 3rd overall on the first rally of the year, the Hankiralli, and repeating the podium finishes on all the rest rallies, with the exception one there they switched to Alfa Romeo Giulietta and didn’t finish. They also regularly managed to win their class. The big things, though, didn’t really come until the second year with the OCTAVIA. 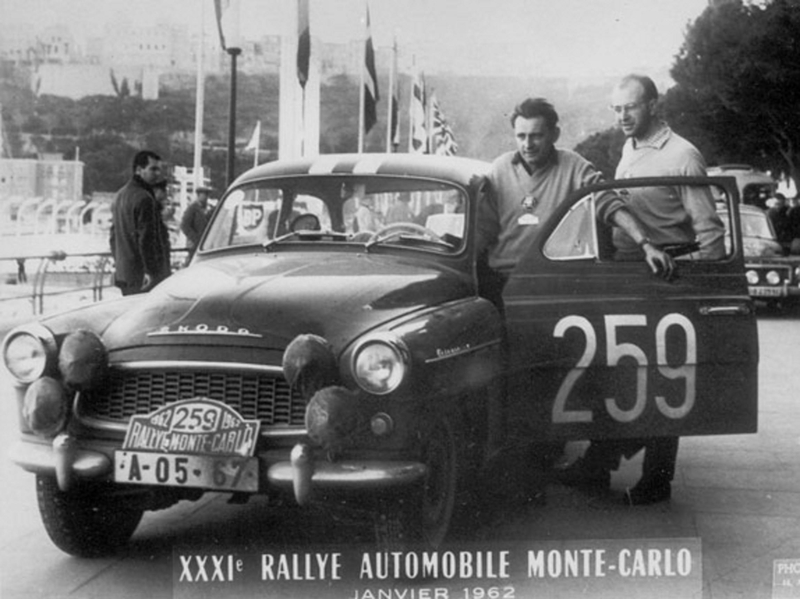 On their first outing in 1961, they managed to utterly dominate their class at the legendary Rally Monte Carlo, the most prestigious rally of the era. In overall classification, they came in 6th, winning their class. 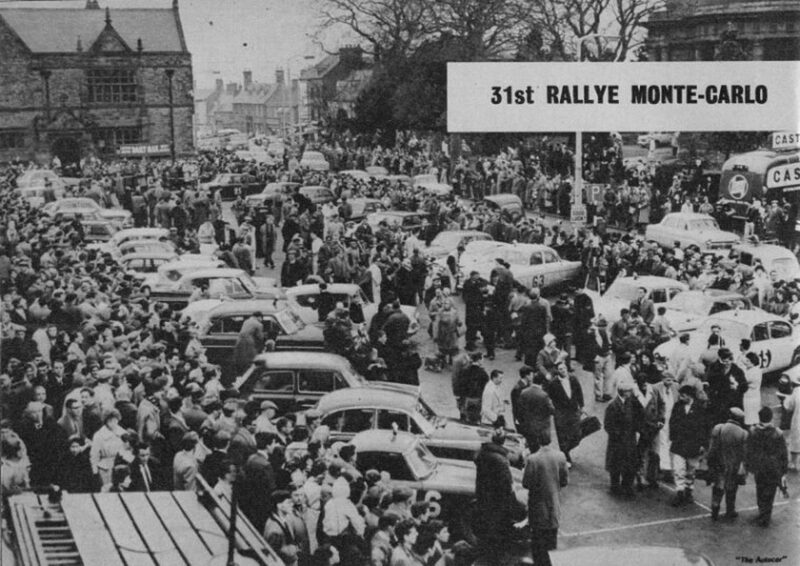 Such a result for a young driver driving a car with a modest-sized engine – remember that the OCTAVIA was running with a 1,089 cc engine in a 1,300 cc class, standing against cars with notably larger displacement – was something that most people tended to attribute to luck rather than outright speed. The young Finns, though, proved them wrong. On The Rally of the Thousand Lakes in their homeland, they managed to do even better, finishing in a stunning 3rd place overall, behind Rauno Aaltonen on – much faster and more powerful – Meredes 220 SE and Pauli Toivonen with, also quite fast and powerful, Citroën ID 19. 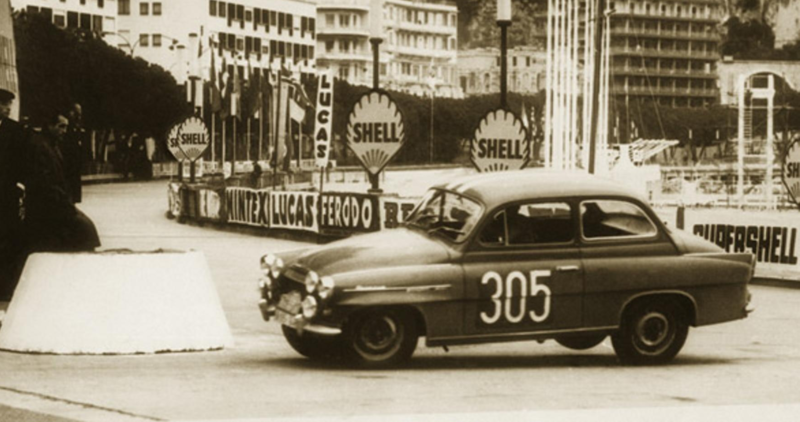 The next year, they returned to Monte Carlo once again, proving the 1961 success was no stroke of luck. They managed to beat their three biggest competitors on Alfa Romeos, winning their class and finishing 21st overall. Their biggest moment was yet to come, though. On 17th to 19th August 1962, Esko Keinänen and Rainer Eklund once again entered The Rally of the 1,000 Lakes, the direct predecessor of today’s Rally Finland. This time, they really proved the world that the words TOURING SPORT means some serious speed. While Pauli Toivonen with his large Citroën DS 19 was still the fastest, all the others had to bow to the agile little ŠKODA, including the best European rally driver of the time, Erik Carlsson, who finished third, behind the Keinänen’s TOURING SPORT. 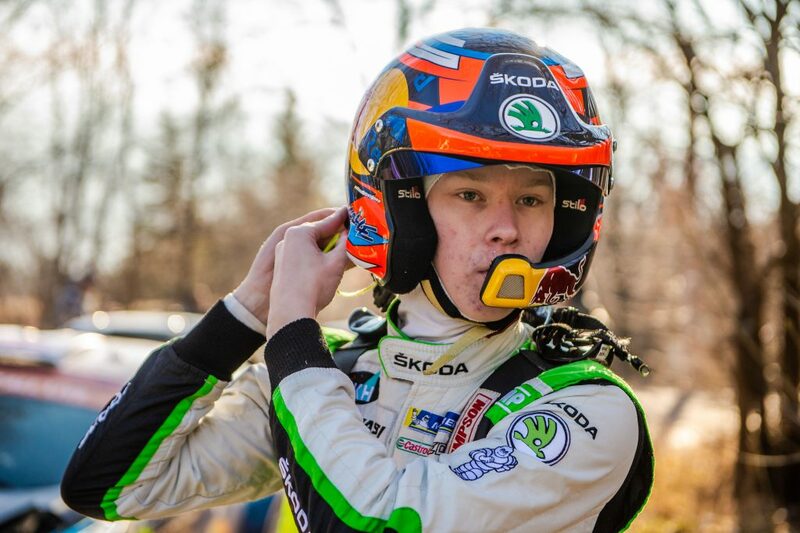 The second place in overall classification was something amazing for a car with displacement of barely of one litre, and it was a proof that even from behind the Iron Curtain, ŠKODA is able to do great things in rallying. 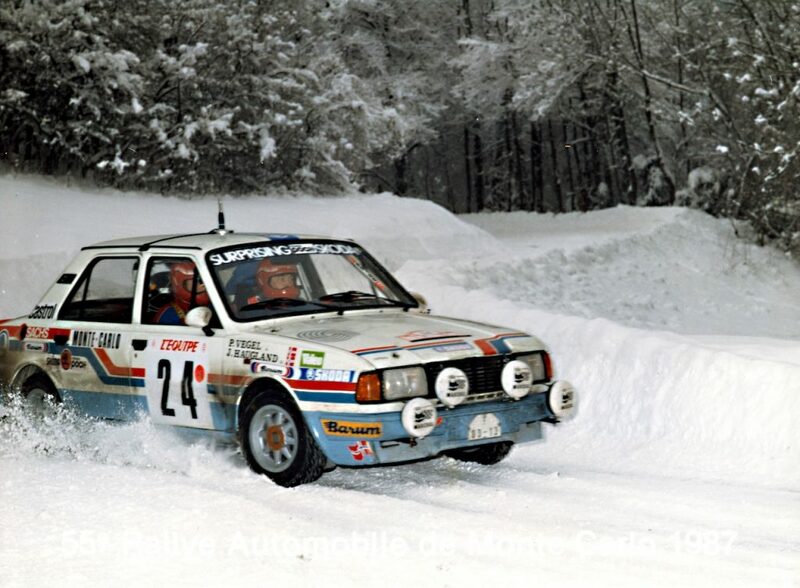 The successes of OCTAVIA TOURING SPORT continued with another win in its class at Rally Monte Carlo, finishing a hat-trick and defeating previously dominant Alfa Romeos. For Esko Keinänen, though, this was the high point of his career. Even though he switched to a faster Ford Cortina GT after 1963, he never again managed to get on the podium and ended his career after 1965. Sadly, he passed away just ten years after that, in 1975, of heart failure. He was just 39 years old.